The Nature Conservancy is a great resource for ways that you can help the environment. Depending on where you live, they have many opportunities to volunteer your time and a Nature Rocks program that gives you activity ideas for exploring and learning about nature and the environment with kids. The World Wildlife Federation has a program where you can adopt an animal from a polar bear to an African elephant. With your donation, which helps protect the future of nature, you receive a gift bag with a plush animal of what you have adopted, a species id card, photo, and an adoption certificate. Native plants are plants that grow naturally in your area. They use up less resources and take less work to grow. Native plants attract wildlife, like your local birds and butterflies, to your garden and they depend on the plants for food and shelter. Here is a native plant guide to help you find out which plants are native plants in your area. Here are some great Earth Day coloring sheets from epa.org that open up conversations about ways kids can help protect the Earth and keep the environment clean. Earth Day is only one day a year, but it is our responsibility to teach our kids to be conscious to protect it everday for future generations! 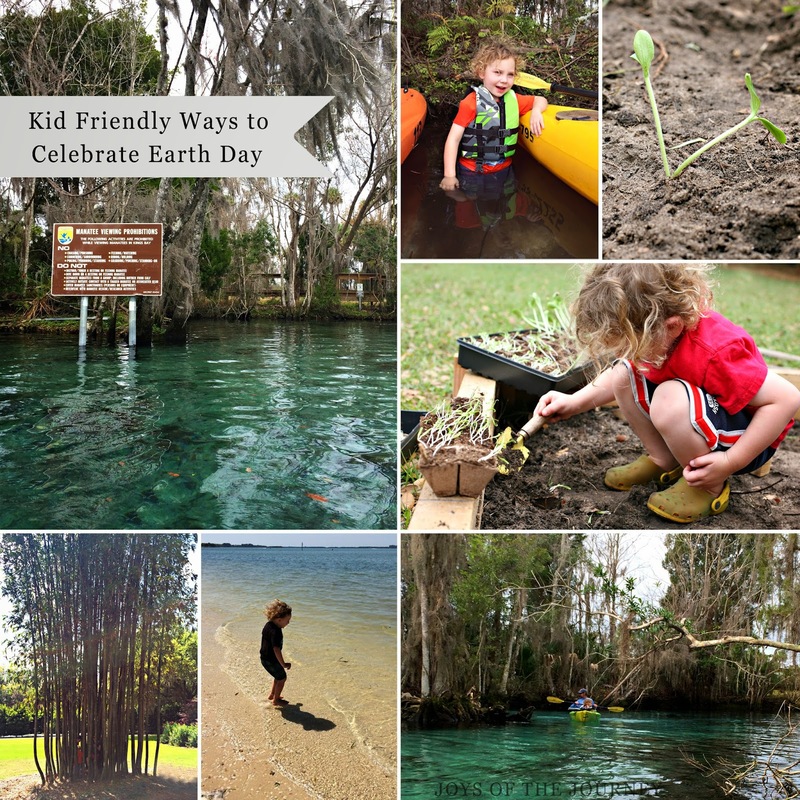 Great ideas for Earth Day or any day!